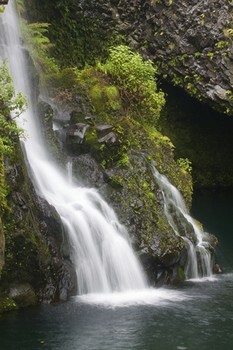 Maui, Hawaii: a beautiful vacation paradise in the Pacific. Are you searching for paradise? 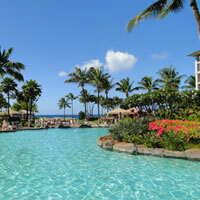 Well, we found our idea of paradise in Maui, Hawaii! Who knows? It might just be your idea of paradise too! Paradise is a strong word, and I don't use it lightly. 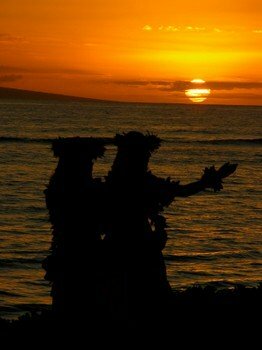 But Maui, Hawaii is truly a paradise in every way. 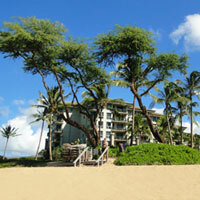 It has glorious warm weather all year, with just enough of a breeze from the trade winds to keep you feeling refreshed. The tropical greenery and colourful flowers are spectacular, and there's nothing better than the relaxing sound of the surf crashing on the beach as you drift off to sleep every night. ... and lots of adventure to spice things up! We found all this and more! 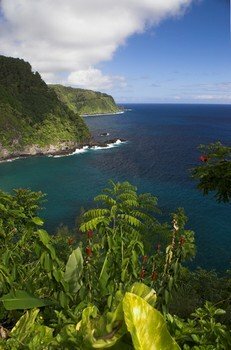 One of the best things about Maui, Hawaii is the huge variety of terrain and things to do - whether you're looking for jungles, beaches, forests, mountain streams, waterfalls, the ocean or even a volcano - you'll find it - I truly think that this enormous amount of variety is one of the things that makes Maui appealing to so many people! Why did we choose this place over all of those OTHER tropical vacation spots? It has SO many advantages over all of those places! What can I say? I'm completely smitten with this island... perhaps even a little obsessed! Hence, the creation of this site... every obsession needs a way to express itself, right? Where to eat... including some of the best restaurants I've ever eaten at in my entire life!... seriously... Maui has some amazing food coming from some very talented chefs! Read about all this and more on this site! I'll be adding new information to the site and updating it often, so keep checking back here regularly for updates! 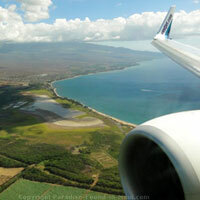 Last, but not least, to stay on top of new information added to the site, please subscribe to my Paradise Found in Maui Blog! It's easy to do! (See the "subscribe to this site" box at the top of the left-hand column... just scroll up, and you'll see it!) Subscribers to the blog will be the first to find out about new pages I add to the site, as well as special posts to the blog!